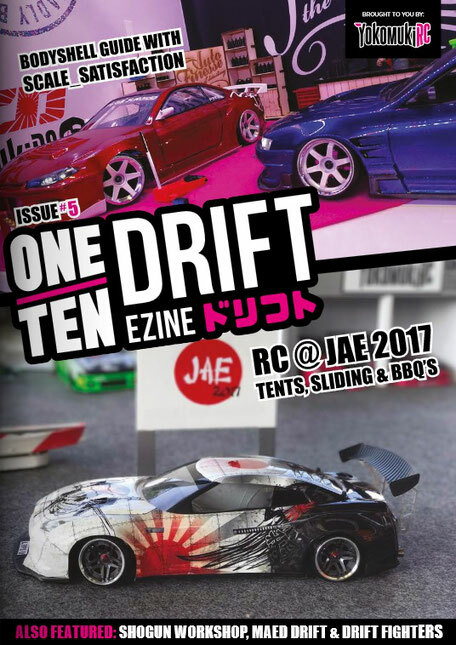 This page is dedicated to the one and only magazine about the RC Drift scene, called: One/Ten Drift Ezine. 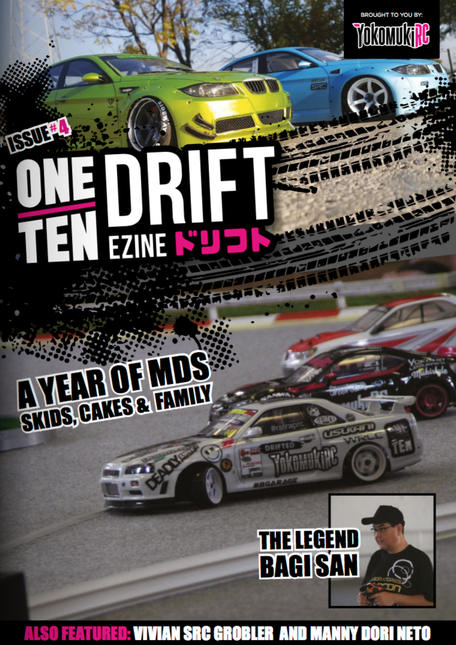 And another cool thing about the magazine is that it is free download-able via their site! The magazine is very well put together with a professional feel and great content. Thats what we want! 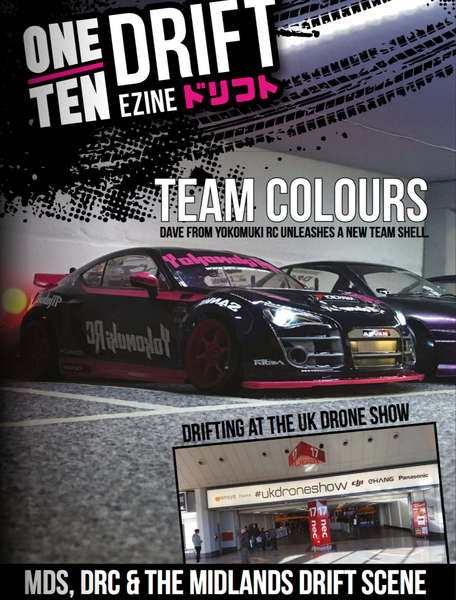 Every issue is edited and designed by Matt Ellis and Zac Loftus of Yokomuki RC UK. 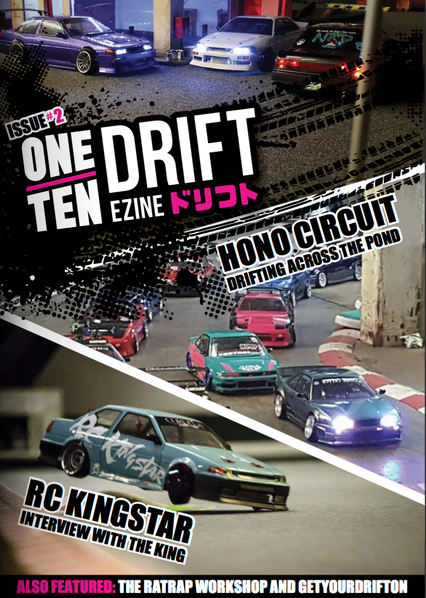 Every issue has several items like, interviews with people from around the globe, features, workshops and gear talks. 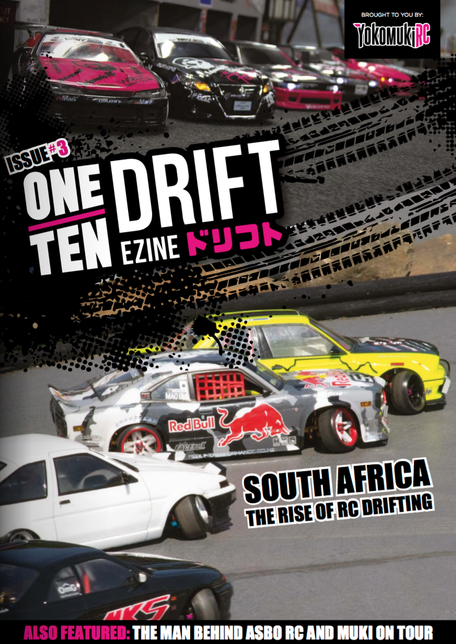 So its a magazine with various interests from inside the RC Drift scene. Below you could click on a picture to open or to download the magazine. If its not visible you have to install a PDF viewer. 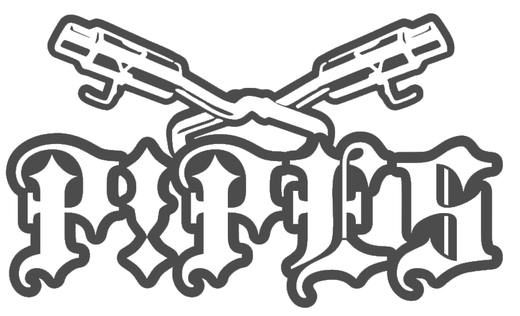 Check also their homepage: http://yokomukirc.co.uk!